Online homeschool programs, aka, virtual homeschooling, can be a great option for tech-savvy full time RVing families. Some options include Time4Learning and K12 Virtual Academy, either privately or state-sponsored. Since higher education provides many virtual degree programs today, it's no wonder that virtual programs for k-12 have become popular as well. For parents considering homeschooling, online homeschool programs have a lot to offer, such as the K12 Virtual Academy. 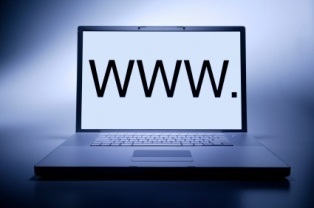 With the internet so easily available, these programs are now flourishing. With the availability of online homeschooling programs, American education has been greatly affected, especially homeschooling. At one point in time, there were only a few good options, such as Time4Learning and the K12 Virtual Academy. Now more programs are popping up. This gives full time RVing families who are considering online homeschooling programs more options than ever before. Since RVers are constantly on the move, these online homeschool programs are definitely options worth looking into. Here is a look at virtual homeschooling and some of the most common options that are available to you today. First, you may be wondering, what is virtual homeschooling? Basically anything that you learn on a computer is referred to as "virtual learning." Instead of learning in a traditional classroom or through other traditional book or workbook measures, online homeschool programs are programs that take place on the computer. The great thing about virtual or online homeschool programs is that they offer the opportunity for students to study with excellent teachers no matter where they may be in the world. This provides a helpful learning resource, especially when kids are involved in advanced areas of study. Some parents may feel that certain subjects are beyond what they can teach. With options like K12 Virtual Academy available, kids can learn tougher subjects that parents don't feel qualified to teach. 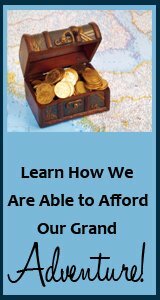 Of course, it's important to realize that not all virtual courses offered are considered online homeschool programs while full time RVing. Certain programs may be affiliated with actual schools and even considered a part of public education, which is often the case with the K12 Virtual Academy in the states that sponsor it. If you're interested in online homeschool programs, here is a look at a couple popular options: Time4 Learning and K12 Virtual Academy. Just keep in mind that other resources are also available, since this is becoming such a popular option for parents today. One of the popular options in online homeschool programs happens to be Time4Learning. This homeschool curriculum offers an approach that makes the most of technology that is available today. It offers an online program for home education, combining together interactive fun and education. Time4Learning offers a curriculum that is full of printable worksheets, interactive activities, and lessons that are animated. Detailed reporting is also available as well. Through the years, this program has been further refined so that lessons can be given to kids at their own pace. The math and language arts lessons meet state standards and art, social studies, and science lessons are offered as bonus lessons with these online homeschool programs as well. 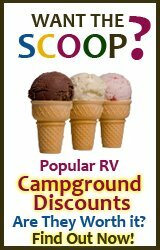 For families that are full time RVing, this is an excellent approach. This is one of the online homeschooling programs that allows kids to spend a few hours learning the basics online. 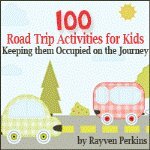 Later, kids can explore other areas of learning, such as exciting historical sites or interesting landmarks you find while RVing. This isn't just a great program for the kids. It also works well for parents who are trying to work while full time RVing. The kids can do their own work on the web while parents have the time to take care of their work as well. What is K12 Virtual Academy? Another of the options to consider when looking for online homeschool programs is the K12 Virtual Academy. This site is the largest provider of education online for students in any grade. Of course, if you're considering K12 Virtual Academy, you need to be aware that there are two different versions available to parents. The first option is an option that you can purchase from the company outright. While it is on the expensive side, it is quite detailed and provides an excellent course. The other option available from K12 Virtual Academy is one that is often free within various states. Some states sponsor this program, but you need to understand that this is not considered one of the online homeschooling programs. While the education is taking place at home, this is still considered part of a public education. Technically kids are given a teacher who keeps up the records and attendance records are required as well. A certain number of hours should be completed each day and specific courses have to be taken. Kids even have to take standardized tests as well. Of course, the materials are free and a computer may even be provided for free by the states as well. If you're a parent that wants online homeschool programs that keep you out of the public school system, whether for political or religious reasons, this is not a good option for you. K12 Virtual Academy does allow you to be monitored by the state and it is a way to keep your kids' education close to what others are doing. The state version of this program can be quite time consuming as well. You must keep kids working five days a week and the K12 Virtual Academy program will require about 6-8 hours each day as well. While there are some of the options to consider when looking for online homeschooling programs, it's important to note that these are not the only programs that are available. You do have other options if you aren't sure that K12 Virtual Academy or the Tim4 Learning programs meet your needs. Take some time to research the available online homeschool programs before making your choice.